Hesitant learners? Uninitiated collaborators? Contentious issues to discuss? Nascent designers who are used to talking and planning rather than doing? What happens if you gather your group and quickly build the space in which you are going to meet, collaborate, learn and discuss, before you actually do those things? Instead of spending endless hours talking about abstract concepts such as scale, space or proximity, how about you start with building them…..full scale? What if the building material is disassociative, meaning there are few reference points that users can latch onto when building and exploring? Will this result in a more open, investigative design/learning process? One that encourages greater collaboration and dialogue? Will this allow users to better tap into their intuitive sense of space, enabling them to create more insightful designs, faster? I know from deep experience in a variety of projects that I’ve created over the past fourteen years and relentless research to try to do more, to do better that the answers to the above questions are unequivocally, YES! Fantastic, incredible things can be accomplished when we smartly use making and building as a tool for fostering richer dialogues, deeper collaboration, the generation of more insightful design ideas and for encouraging more meaningful, self-directed learning. It is one of the fundamental ways Public Workshop does things a little, err a lot differently. 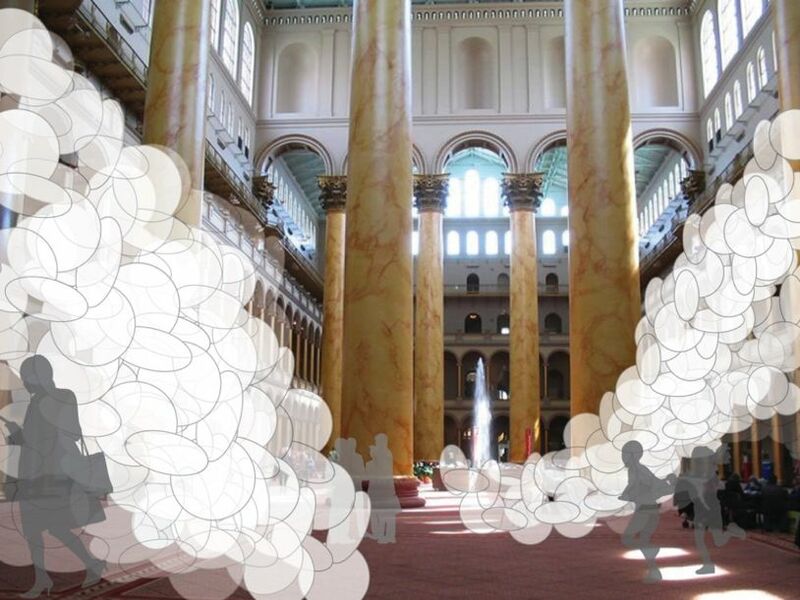 It’s taken a little bit to get the final shape, materials and tolerances sorted out with my digital fabrication friends at Cardboard Safari but the prototyping for one of my final Fellowship projects at the National Building Museum is done! Chris and his crew at Cardboard Safari have done a really great job dialing in my prototypes. 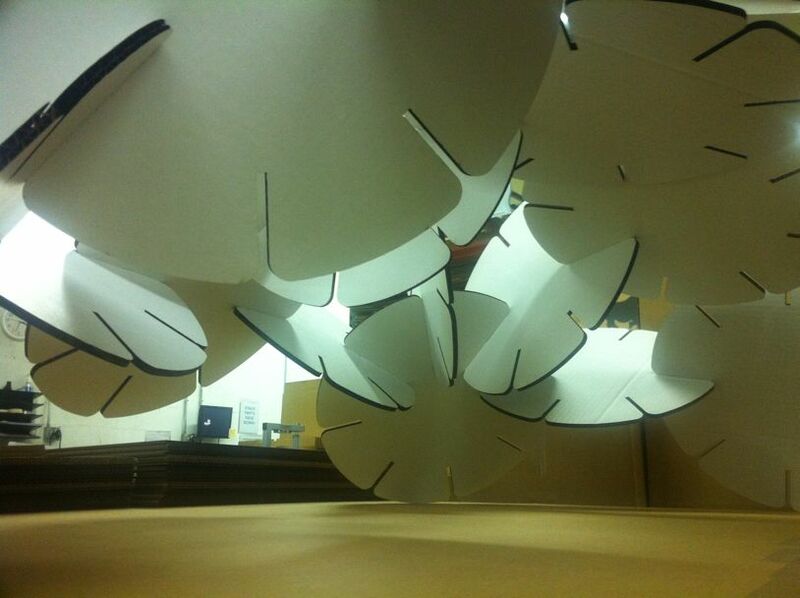 Final fabrication starts today and in a few weeks time, the building experiments will begin. Some of the activities, such as building our meeting space for the National Building Museum’s monthly staff meeting, will be directed and goal oriented, further testing the limits of making as a tool for fostering such things as collaboration, pattern recognition, dialogue and the generation of innovative ideas. However, given the tremendous variety of people who pass in and out of the Museum’s Great Hall everyday, there is also an significant opportunity to have free play (building) sessions that I will use to further test my understanding of the limits of visual priming, additive problem solving and the use of descriptive words to solely guide group design processes. No matter the test or activity, the results are going to be gorgeous and hugely visually exciting. Oh my goodness, I can’t wait. Keep an eye on the website and our Facebook page as I will be posting images and reports from the experiments. Interested in participating, being a guinea pig or coming to the Museum to build great things with your friends, family or colleagues? I would love to have you. Send me an email and we’ll make it happen. A very special thanks to Juan Rivera and Roy Wellman of Domaform for their incredibly generous financial donation and enthusiastic support to expand scale of this building experiment. Thanks guys. Need a gorgeous kitchen makeover? Give them a call, they do wonderful work.